By now, most people are used to the idea that when we ring a large company, the call could be answered by one of many people. Gone is the old image of a single person sitting at a flashing switchboard. Nowadays, all over the world, there are rooms filled with rows of people murmuring in various languages into headsets. And now, Laos is no exception, with the country’s first dedicated call center now in full swing. 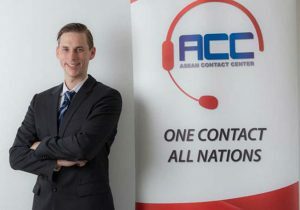 Asean Contact Center, or ACC, is the brainchild of Canadian expat Kevyn McGraw, one of the many foreigners who fetch up in Laos and find themselves unable to leave. Originally from Montreal, McGraw had always wanted to live and work in Asia; after studying journalism and computer science at Concordia University, he travelled to Laos. After his first year here, he began working for Canadian software developer Aheeva, where he had family connections. “They assigned me to be their business development manager for Asia, with the plan for me to go back home in June,” he says. That was in 2013, and he is still here. “That plan didn’t work,” he says, laughing. He arranged a new contract that enabled him to stay in Vientiane, and in the meantime, the company’s chief executive in Canada asked him why he wasn’t selling any contracts in Laos. “I told him there were no call centers in Laos. And he said, ‘Well, start one’,” he says. So, he did, organising a partnership with Lao IT company Datacom and Aheeva to create ACC. That was in 2014, and the company began with three staff and a handful of clients. Today, McGraw works alongside his wife Khammone; ACC employs 130 people and has more than a dozen clients, including Unitel, Pizza Company, Ford, Lao Airlines and Unicef. The company also has plans to expand outside of Laos – its market encompasses all of ASEAN – but is steadily building a reputation closer to home. “We offer two main services. Either we help companies in Laos build their own call center, or you can outsource the service completely to us,” McGraw says. 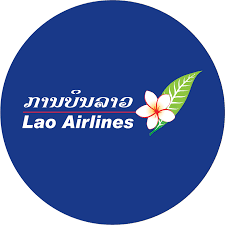 When helping another business, such as Lao Airlines, build a call center, ACC will supply and maintain Aheeva software, and train the company’s own staff. 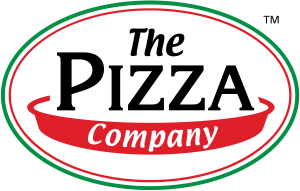 Or, as is the case with Pizza Company, all calls to the business are taken by someone in one of the many rooms in the non-descript four-storey building in suburban Vientiane. With a 24-hour service and many multi-lingual staff, it’s not surprising that businesses that choose to outsource to ACC see an increase in sales almost immediately – up to 20% from the very first day, according to Pizza Company. But when a company is devoted to only one thing – responding to calls from customers – it’s much easier to do it right. “We have very strict KPIs in our contracts with our customers, and if we don’t follow those KPIs we can get a penalty,” he says. 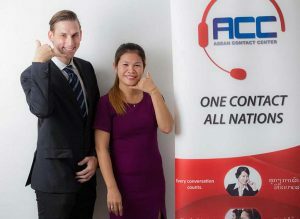 And unlike in many western countries, where call services are outsourced to foreign countries to save on staffing costs, Lao clients have different reasons for choosing a call center – to increase sales or improve the quality of its service. It has also been surprisingly easy to find willing staff to operate the phones; ACC has a staff turnover of around 5 percent, and attracts many students because it offers both full-time and part-time work. “We don’t have any problems finding Lao staff. It takes more effort to find staff who speak two languages very well,” he says.